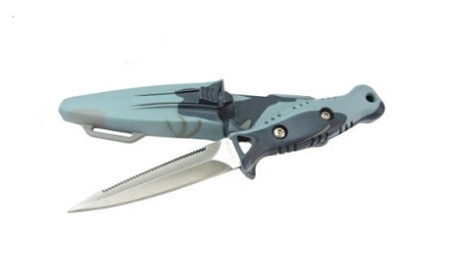 This full size dive knife has a 4.25" stainless steel 420 pointed tip with serrated edge. It easily disassembles for maintenance. Knife includes ABS plastic sheath and rubber knife straps.